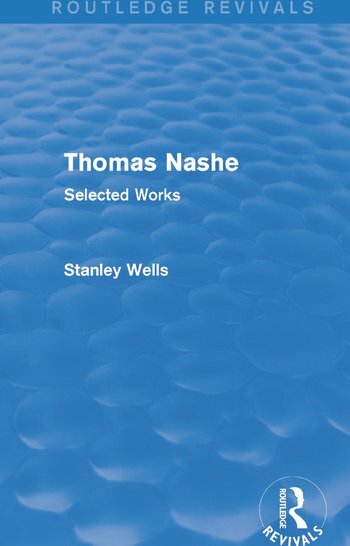 This book, first published in 1964, is devoted to Thomas Nashe. Shakespeare’s plays have many apparent echoes of his matter and style; he was one of the most adventurous and successful of those who tried to explore the possibilities of the language and to embellish it was an eloquence both learned and popular. Moreover, he is a conscientious and delighted portrayer of the London of his time; he combines the interests of a Mayhew with the exuberance of a Dylan Thomas. This book will be of interest to students of literature.